**Warning** I know that I act super confident most of the time, but underneath it all, I am not. This is a close up of what I have been struggling with at it's worst. 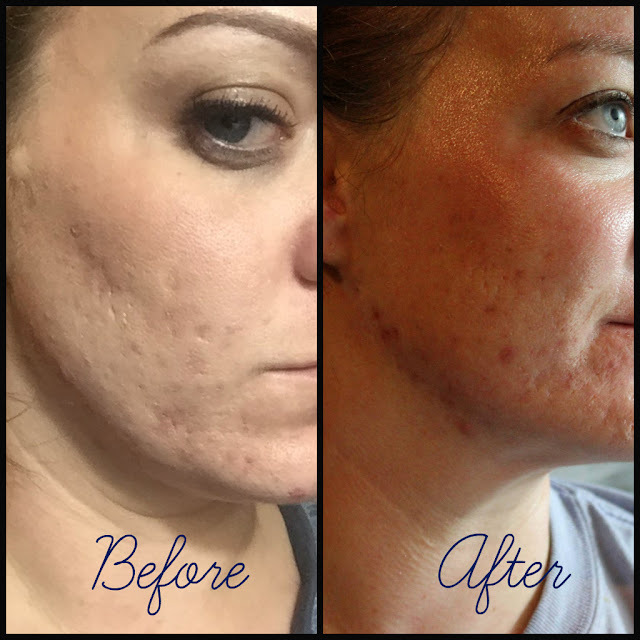 I was given about a 10 minute consultation where my consultant asked me about my skin, talked to me, about my problem areas and set a treatment plan. I really enjoyed this part because it actually felt like she knew what she was talking about. You can actually receive a FREE skincare consultation by calling 1-800-831-4088. If you decide to purchase, don't forget to use your 20% off PLUS free shipping discount by clicking on any link in this post. Of course, if you are not satisfied, all products are always 100% money back guaranteed (within 60 days). My biggest concern, as you know, is acne and scarring. I have been battling cystic acne for the last couple of months and it has been one of the hardest battles of my life. I am in my mid 30s and I should have beautiful flawless skin, right? 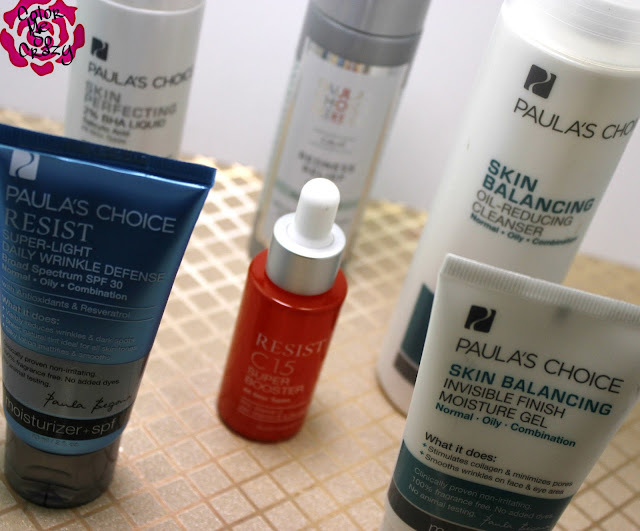 The Paula's Choice website offers a HUGE library of articles for just about any skin issue or question you may have. I love the ones on Cystic Acne, How Red Marks & Acne Scars Work, and How to Treat Red Marks & Acne Scars. So, enough with all the fantastic readings that Paula's Choice has and on to what I am actually using. During the consultation, I was actually given two different routines. A daytime routine and a nighttime routine. The only difference is there are two different moisturizers and an addition of a vitamin C serum. 1. 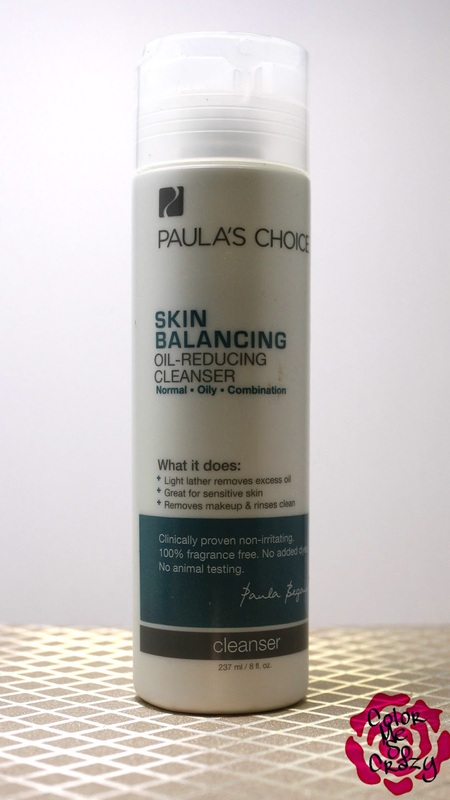 Skin Balancing Oil Reducing Cleanser which is made to reduce blackheads, calms sensitive skin and is for normal to oily skin. My face didn't feel tight, but still felt clean after using this cleanser. 2. The next step is the Redness Relief Toner. 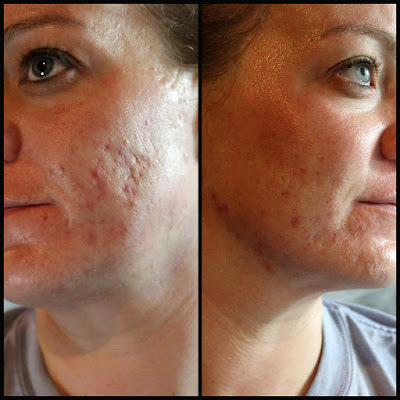 This helps ease irritated and inflamed skin all while diminishing redness. This is water-light and doesn't not feel oily when applied. 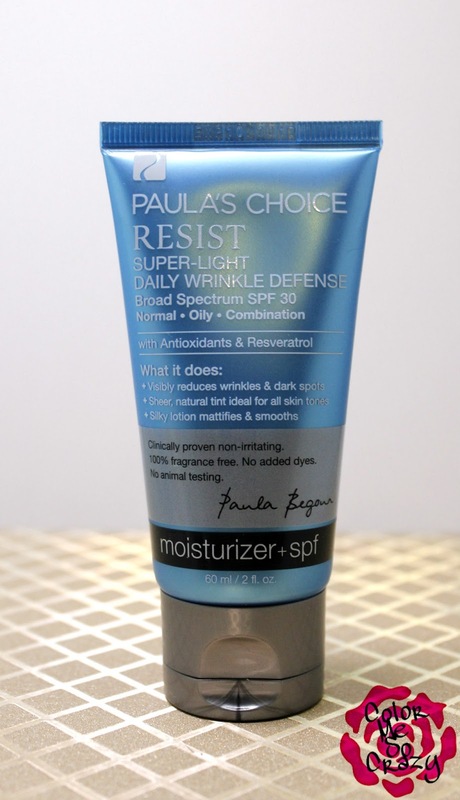 This is my favorite **NEW** Paula's Choice product. 3. This little lady is what I like to call my new miracle liquid. The Skin Perfecting 2% BHA Liquid had been doing amazing things for my skin. This is like an all-in-one. It's an anti-aging, anti-blackhead, pore minimizer, redness reducer, pore unclogger, ALL IN ONE! After using this for about 3 weeks, I have noticed a HUGE difference in the texture of my skin. I will absolutely repurchase this item no matter what skin care routine I am into. 4. The final step for the daytime routine is the Resist Super- Light Daily Wrinkle Defense moisturizer. I really liked this product because it is tinted, has added sun protection and dries matte. I was a little surprised when they added this to my routine, but I have been loving it. On my "no makeup days", I can wear just this and feel ok about going out of the house. It doesn't feel tight and it lets my face feel light and moisturized all day long. 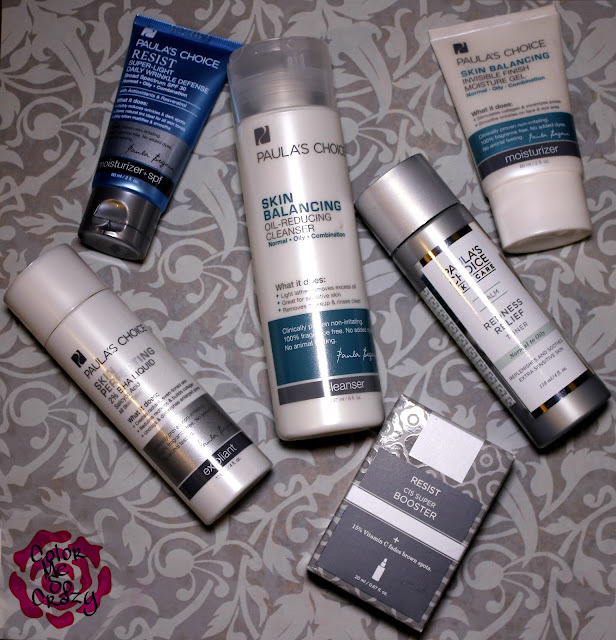 My nighttime routine is very similar to my daytime routine except for the moisturizer and an added product. I showed exactly how I do my night routine for all of you on Snapchat a couple of days ago. Be sure to stay tuned for a Snap-Series on my daytime routine. 1. At night, I cleanse with the Skin Balancing Oil Reducing Cleanser again. This actually feels amazing on my tired face. It gives me a little refresher before bed. 2. I give a couple swipes of the Redness Relief Toner to make sure all of my makeup is off of my face and neck areas. 3. I apply my Skin Perfecting 2% BHA Liquid with a cotton ball all over my face, jawline and neck area. Of course, you want to wait in between each step to make sure everything is dry and has had time to soak in before you move on to the next step. 4. The next step is the Skin Balancing Invisible Finish Moisture Gel. This is a gel moisturizer that hydrates your normal to oily skin, shrinks your enlarged pores, and firms up your skin. This feels soooo good on my poor stressed out skin. It's perfect for a nighttime moisturizer. 5. 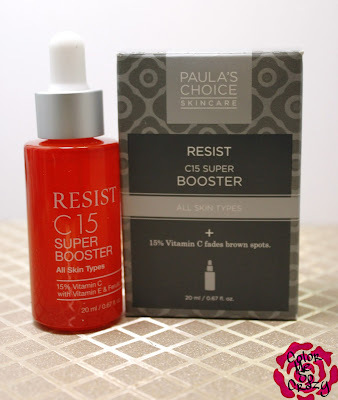 The last step in my nighttime routine is the Resist C15 Super Booster. This product was added into my routine because I have a concern about my scarring marks from my acne. I add a couple of drops to my Moisture Gel at night and blend it into my skin. It is 15% Vitamin C and is supposed to help with fading dark spots and brighten complexion. Soo..... that is my entire routine now. 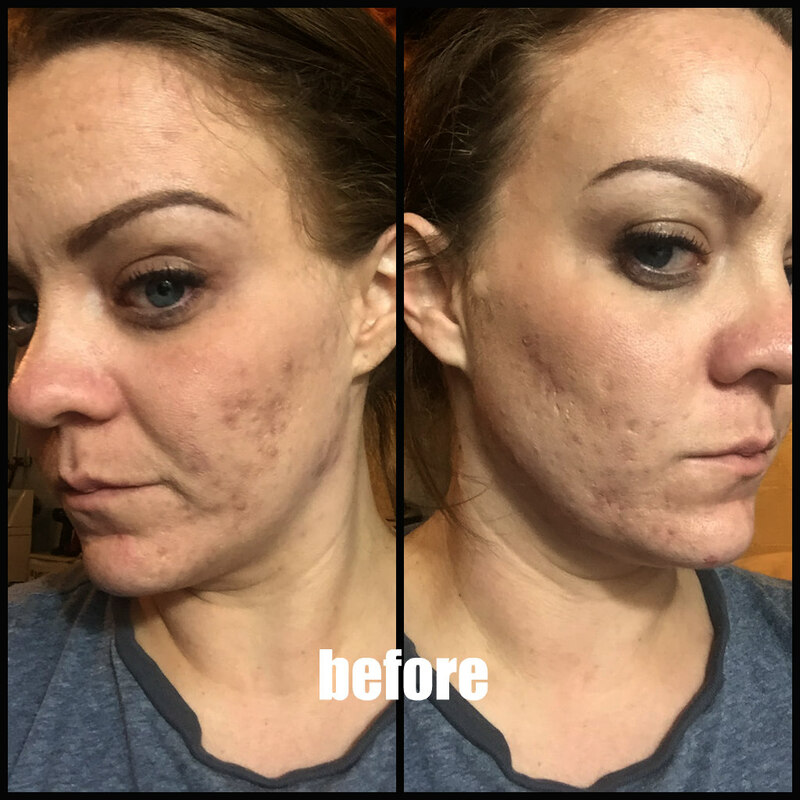 Overall, I have been using this system for about 3 weeks now and I have noticed a difference in a couple different areas in my skin. It has been smoother, less textured, less breakouts, less red marks, less irritated and just nicer to look at! It is by no means, perfect, but this system has been a great step in the right direction. If you are interested in learning more about Paula's Choice or how others used these products, you can click here or to log onto Pretty in My Pocket. Pretty in My Pocket or PRIMP is a site that allows you to easily view and purchase all things beauty in one, easy, and convenient place. If you want to join, you can do so by clicking here.